Jack Mackrie is tired of being in Vietnam. The sign equates our firebase with a prison and regular Army men our jailers. Lifer was a derogatory term for career officers and enlisted men. 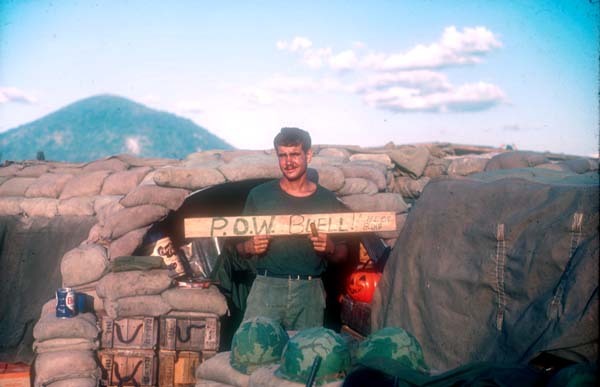 This sign first said “lifers blow” but 1st Sergeant Jones ordered it changed to “life or blow”. This was an expression of the divide between Lifers and those wanting out of the Army.